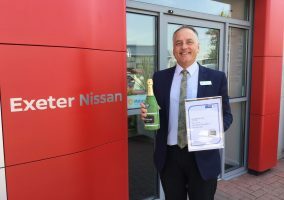 THREE Nissan dealerships have been named as some of the best in the UK for the outstanding customer care they provide to disabled drivers. 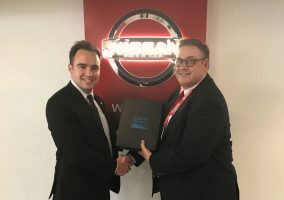 Newtown Motors, of Cwmbran, Wellington Motors, near Taunton, and Crosby Park Nissan in Liverpool have all won regional awards for their work with the Motability Car Scheme for the third quarter of 2017. 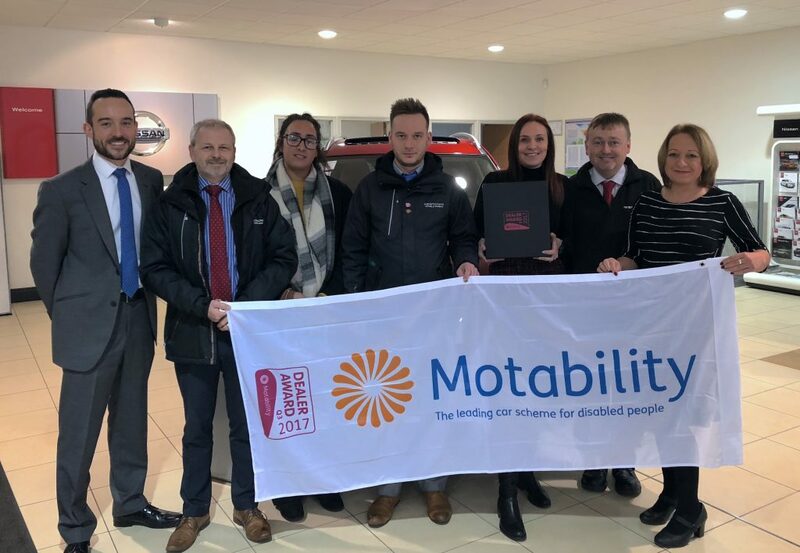 The accolade is part of a programme of awards, launched last year by Motability Operations, to recognise and reward outstanding customer service provided by local Motability dealerships. For Newtown Motors, it’s the seventh time in three years they’ve won the accolade, while for Crosby Park it was their second award of 2017, having earned an award in the second quarter as well. 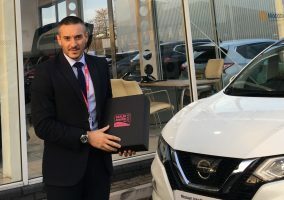 Designed to ensure best practice for all Motability customers, the awards are judged on how a dealer delivers the scheme to customers, via customer feedback and reviews of their performance. All three winners of the quarterly awards have been automatically entered into the national, annual awards which will be announced soon. The team at Newtown Motors, Cwmbran. 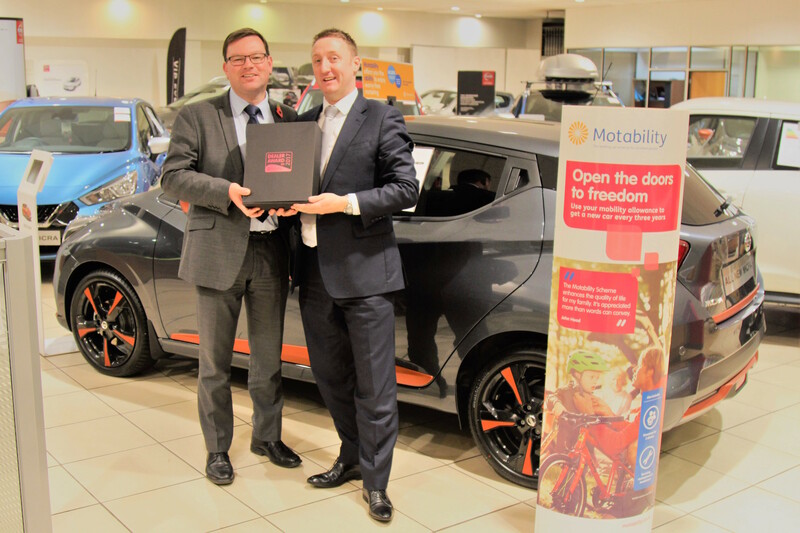 Crosby Park Motability specialist Bernie Horay, who works alongside Mark Saxton, receives the dealership’s quarterly award from a Motability Operations representative. 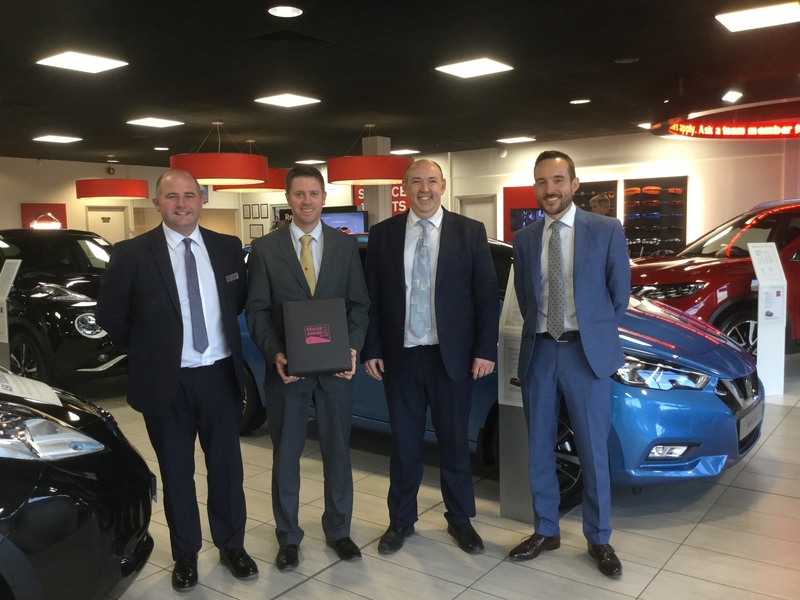 From left, Wellington Motors’ Sales Manager Andy Bowrah, Motability Specialist Ian Harvey, Aftersales and Service Manager Kingsley Jefferies, and Richard Osborne, Dealer Development Manager of Motability Operations.